A super smooth, lightweight reel designed specifically for the light lure angler and for our HTO Rockfish 19 rods. 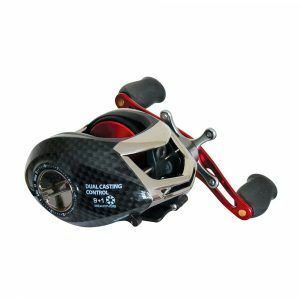 5.2:1 gear ratio and 5+1 bearings for a quick and smooth retrieve. Graphite body and rotor with aluminium handle for lightness. Stainless steel shaft for maximum durability. One-way clutch system for efficient, smooth line control when playing fish. Dual propulsion anti-twist line roller to eliminate line twist. A super smooth, lightweight reel designed specifically for the light lure angler and for our HTO Rockfish 19 rods. 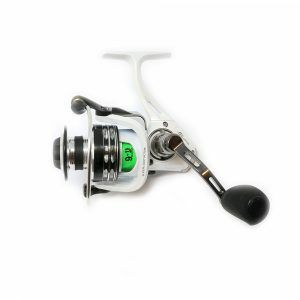 It comes equipped with 5 stainless steel bearings, plus one roller bearing making these reels ultra-smooth when working lures and playing fish. A graphite body and rotor make these reels light but also corrosion resistant, ideal for fishing in both saltwater and freshwater. 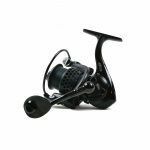 For strength and durability, a stainless steel main shaft ensures that the reel performs time and time again without letting the angler down. A one-way clutch system ensures that line leaves the reel smoothly when a fish takes. So the line does not twist when a fish is taking line or when retrieving line, a dual propulsion anti-twist line roller has been installed. 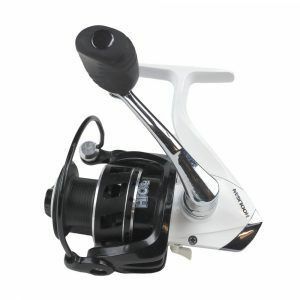 The aluminium power handle finishes off the reel, this lightweight handle has been designed to be corrosion free and to apply maximum efficiency to the gears when playing a fish and retrieving.